The Countdown continues - revisiting the favorite recipes from 2016 in all different categories. Today breakfasts are featured. Whether you want something hearty or something light, there was plenty to choose from this year. I can always be counted on to make about a million varieties of muffins... but remember, these are just my absolute FAVORITES, so be sure to look in the index if you need more inspiration. 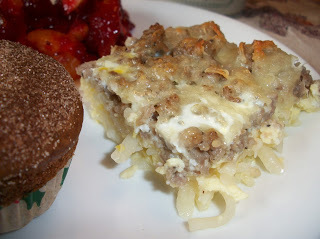 That breakfast casserole sounds delicious!!! Those cranberry muffins look like they came out of a professional bakery! That Cherry Almond Coffee cake is calling my name. Or at least just appealing to the Dane in me, since we love putting cherries and almonds together. OH my....can I just order up one of those Cherry Almond Coffeecakes? I want a piece right this minute. 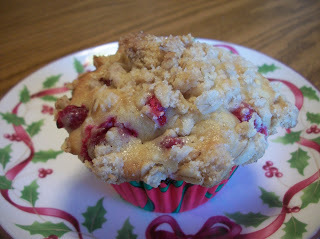 I could so use one of those Cranberry Crumble Muffins…they look wonderful!